Growing up, there was a very popular toffee in a purple wrapper called cadbury eclairs. It is a caramel toffee with a chocolate centre. I was not a huge fan simply because i don't have a sweet tooth but it must have been good because it was and still is very popular. It was only recently that i discovered the pastry called éclair. At first i was confused but after a little research i found they are two different things. Why are they called the same thing though? According to wikipedia, the word comes from French éclair 'flash of lightning'. The connection is quite unclear. 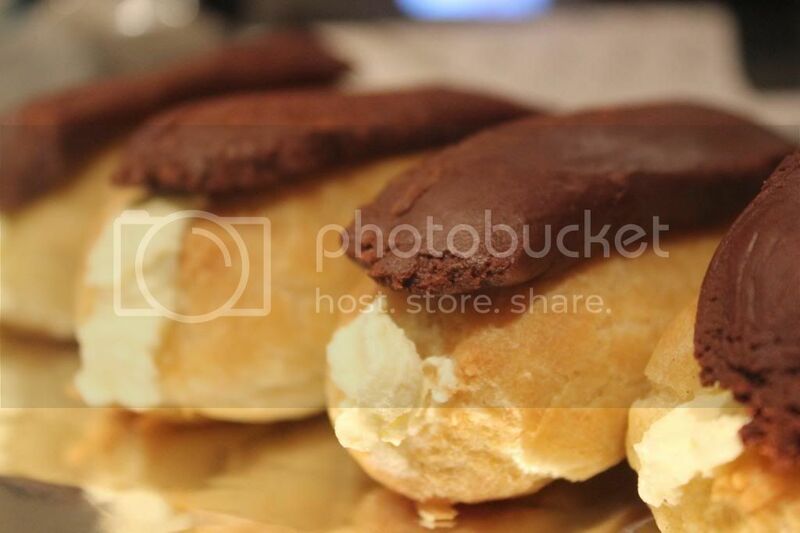 Éclair is made from choux pastry filled with whipped cream, topped with a chocolate icing. Choux pastry is such a fancy name and has alway sounded to me like something that would be hard to make but quite the opposite. 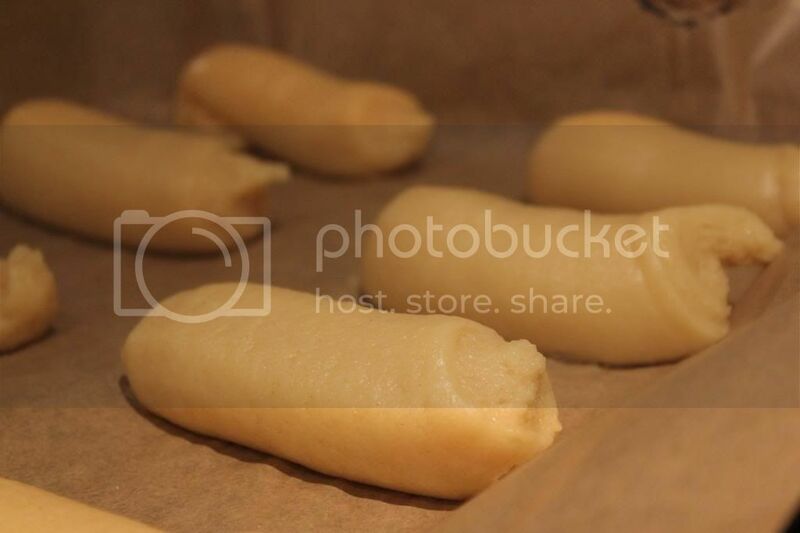 The methods used to make choux pastry are very unique. 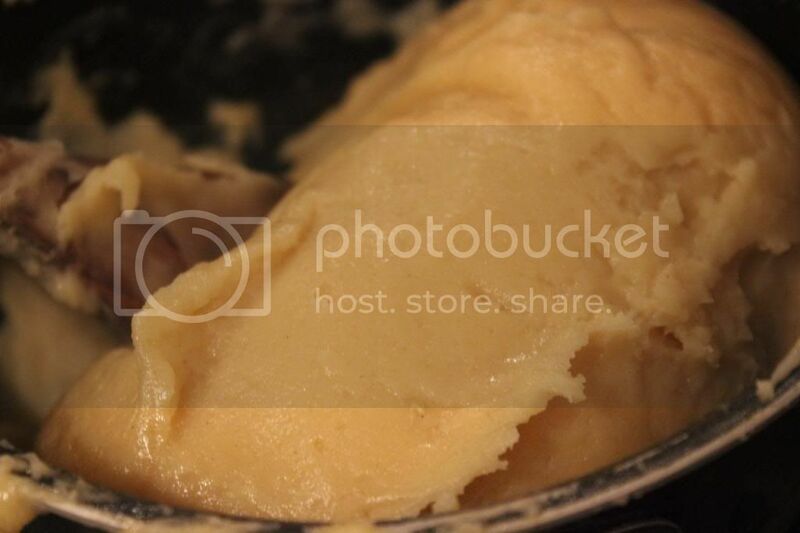 Making pastry in a pot is something i've never done or thought about before. With basic ingredients; flour, water, butter and eggs, a smooth, light and glossy dough was cooked. This dough was piped out onto the baking sheets and when it was baked and cooled, without cutting it open, the whipped cream was piped into the hollow centre through one end of the éclair. I really enjoyed this new approach to pastry making and it does deserve the fancy name choux pastry. Hello Temi are you still using the hummingbird book as a guide? Hey Tope, no i'm not. I finished the hummingbird bakery cookbook last year. now i'm just baking anything at all that i find interesting and want to explore. Thanks Ekene. Sorry its taken me a while to reply. Well when i say i don't have a sweet tooth i mean i'm not crazy about chocolate and candy. Desserts, i love!